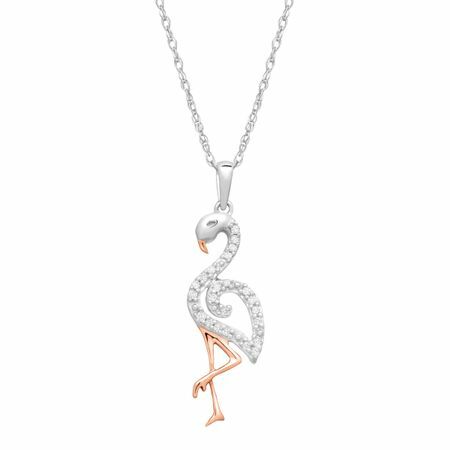 Fun and feminine this flamingo pendant is packed with enough sparkle to take your look the next level. Traced in round-cut diamonds totaling 1/10 ct this piece is crafted from 10K white and rose gold. Piece measures 1 1/8 by 5/8 inches. Comes with a 10K white gold 18-inch rope chain.